This is the most frequent patronized bak kut teh shop for my family, eating there countless time for the great peppery soup and the forever great pig knuckles. Of course, the price and quality are two factors of our regular visit as well. 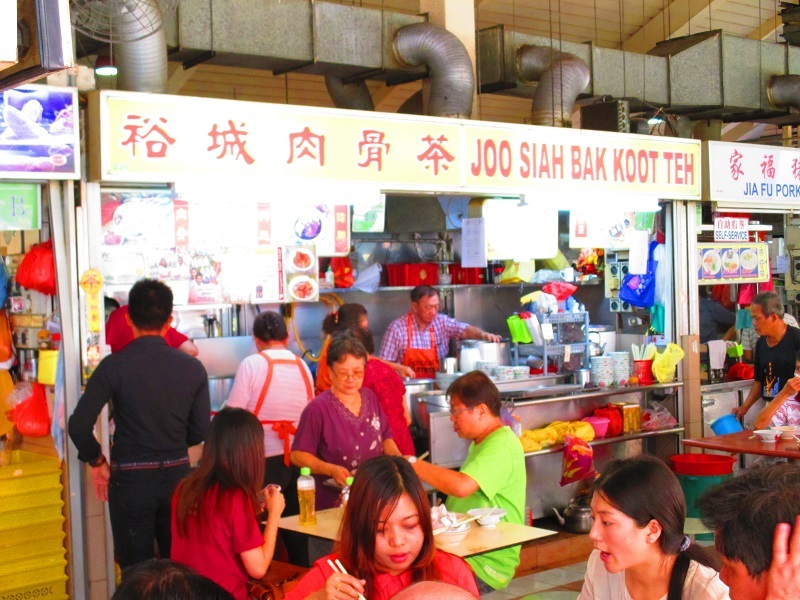 The stall is located in the hawker centre occupying two stalls and perhaps explained the reasons why the price is the lowest among all the bak kut teh shops in Singapore. 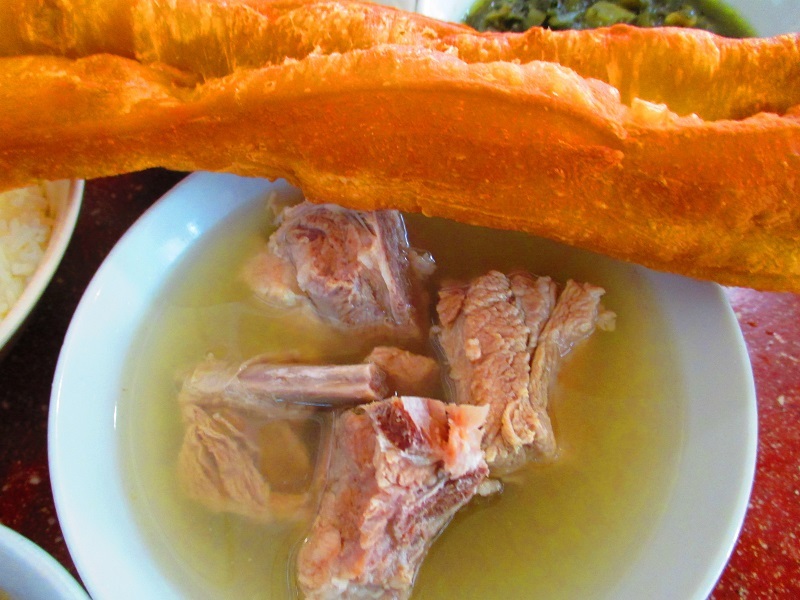 If you are looking for cheap and good bak kut teh, look no further, Joo Siah bak kut teh is no regret to many of you. 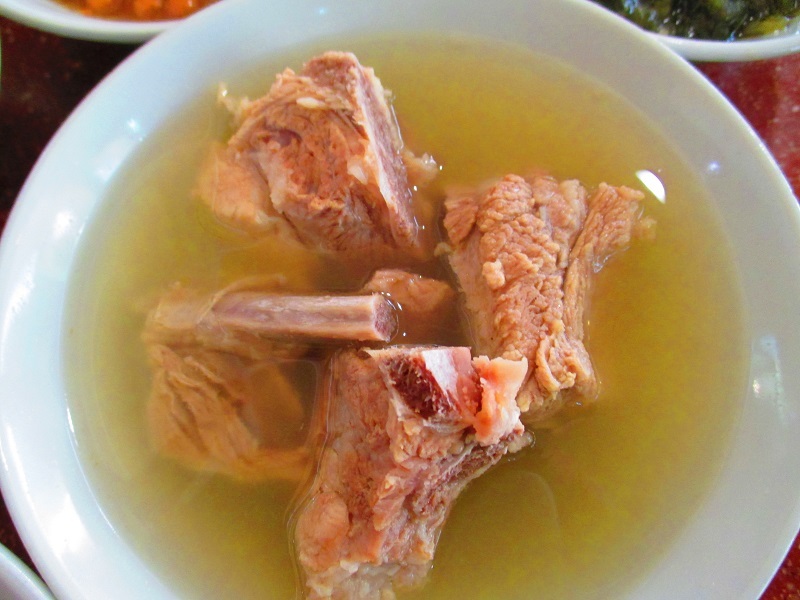 Joo Siah’s bak kut teh serves the clear peppery soup and if you like more peppery favour of bak kut teh. The peppery aroma will certainly arouse the taste buds of many. 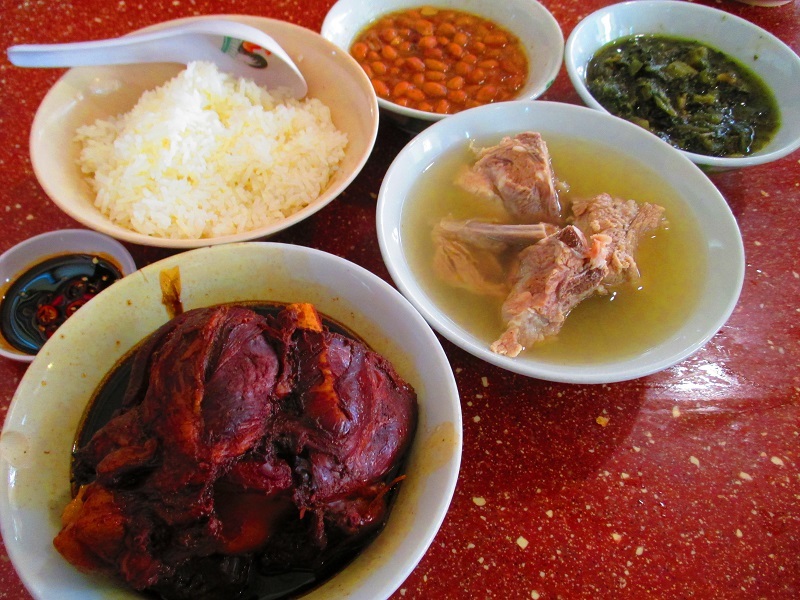 The pork rib broth is steeped with flavour and the ribs are plentiful and generous, definitely one of shops you will yearn for A real good bak kut teh relies a lot on the use of the pepper, my family always insists on top grade Sarawak pepper when cooking for the same reason, a good pepper can makes a big difference to the dish. Always go for Sarawak pepper when cooking if you want good results. 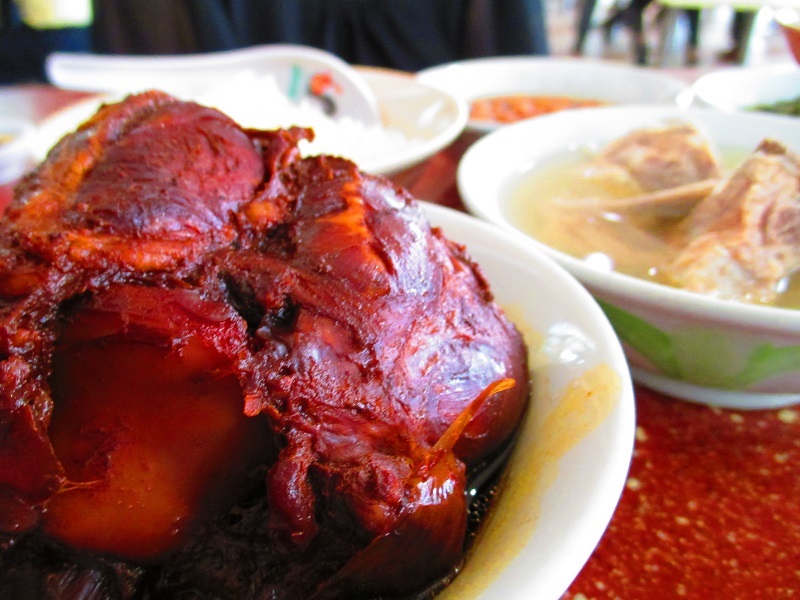 They do serve great pig knuckles and never missed it, The herbal pork trotter is also exceptionally tender and well-braised. the meat has gone through many hours of marinating, boiling and simmering to make it extremely tender and tasty. Order a bowl of white rice and add a scoop of the dark gravy will make the meal heavenly, not to mention slurping down with the peppery hot soup. Life is simply beautiful after a good meal. Our verdict, from a food stall in the hawker centre, it can make it to the top five lists among many other strong competitors proves the quality substance of the Bak Kut Teh among the heavyweight. Appreciate greatly if u can update the new information on your website. Thanks! Thanks for the info. Noted!